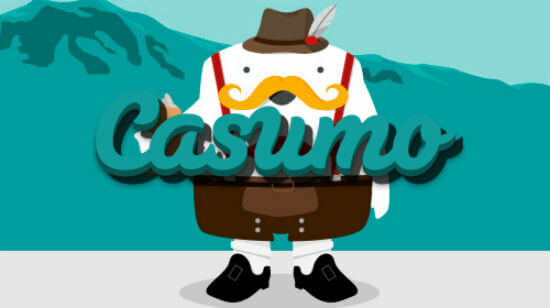 Casumo never does anything in small quantities. This also goes for its game acquisitions. In line with the change of season, Casumo is busy with a customary spring cleaning that brings plenty of shiny, new games to decorate its fancy game library with. Mentioning all the latest additions to the library would entail a task larger than the scope of this article. So, we’ll only be focusing on the two new NetEnt Jackpots: Mega Fortune Dreams and Divine Fortune. Read on to find out more! Mega Fortune Dreams is younger, flashier sibling to Mega Fortune, a NetEnt Jackpot that has stood the test of time as one of the most popular jackpots in the world of online casinos. The spruced up version — Mega Fortune Dreams — uses 5 reels, 3 rows, and 20 bet lines to give you a taste of the possibility of a luxurious and extravagant lifestyle it depicts. The reels are decorated with branded purses, posh time pieces, diamond rings, champagne and more, all set upon a yacht that is docked in the shores of tropical islands. The scatter symbol is a huge diamond while the wild symbols utilise palm trees waving in the wind. Mega Fortune Dreams is a “pooled” jackpot, also known as a “networked” jackpot. This means that it’s connected across different online platforms and the cash prize is pooled together from players accessing it through these different online casinos. And because of this, the average pay out is just under a crazy 4 million! This occurs every 58 days or so on average. In order to win, you need to unlock the special “wheel of fortune” inspired game that consists of 3 wheels. Every wheel you spin can unlock a jackpot bigger than the previous or take you to the next and higher one. There are 3 jackpots to be won — Rapid, Major, and Mega. Divine Fortune is one of NetEnt’s latest additions. It takes cue from ancient Greek mythology with gods from the pantheon and mystical creatures adorning its reels. Mythological icons include the Pegasus, the Gorgon, the Medusa, and the Minotaur. In the background, you will see two female Caryatids on either side of the main portion of the screen. The aesthetics and sounds of this game are testimony to NetEnt’s attention to detail and ability to create an evocative ambience in its games. The game features 5 reels, 3 rows, and 20 fixed bet lines. The special features here include Wild Substitutions, Re-Spins, Free Spins, and a Jackpot bonus game. Unlike Mega Fortune Dreams, this one is a local jackpot, with a maximum default win on a single bet line being 3000 or 6000 coins. The Jackpot Bonus game is activated when 3 or more bonus symbols appear. This mini game features 15 independent reels and you start off with 3 free spins. More free spins can be added by landing bonus symbols. 3 types of jackpots can be won — Minor, Major, and Mega Progressive Jackpots. To do so, you need to land one, two, or three rows of bonus symbols respectively. If you’re a jackpot fan and you’re either an existing member at Casumo or thinking of signing up, NetEnt’s jackpots are just a few of the great selection of games available at Casumo. So, head over to Casumo and start spinning the reels for the chance to win a life changing cash prize!